Robin Neveu Brown grew up living and learning through dance in Southeastern Virginia. She graduated from the University of Florida with a BFA in dance in 2007. 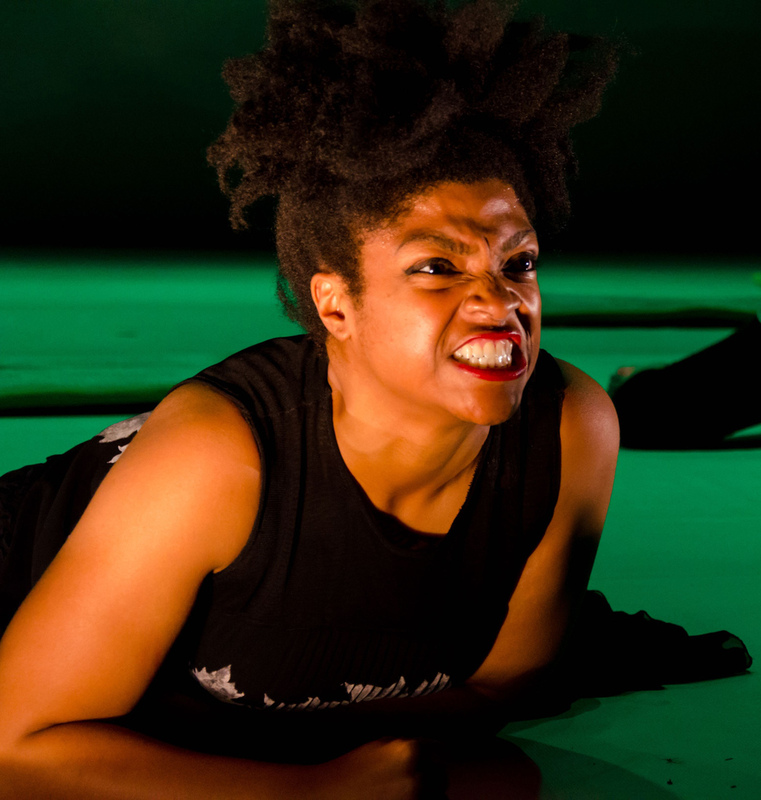 After four years of dancing in New York, she happily escaped, and is currently an MFA candidate in dance at the University of Maryland where she focuses on connecting movement with education, community involvement, and site-specific performance and film work. Robin is also currently working towards her certification in Laban Movement Analysis, which helps her to better understand the innate connection among all humans through movement. Her love of working with people and ideas in the sensory and physical world of dance and art feeds her passion as a performer, dance maker, and teaching artist. She has performed, taught, and created dance in New York, Washington DC, Virginia, Florida, and Utah as well as internationally in Italy, Russia, and Albania. She also works collaboratively with her actor/mover husband, Kevin Brown, to blend the worlds of theatre and dance in both education and performance. Robin is delighted to be working with PEARSONWIDRIG DANCETHEATER, diving, flying, rolling, crashing, and exploding, and, most of all, sharpening her body’s ability to listen. Graham Brown (BFA: U of UT; MFA: U of MD) has been working with PWDT since 2007. His performance, choreography and teaching work has been seen and experienced nationally and internationally over the past 10 years. A few professional highlights include founding and co-directing the improvisation company Movement Forum (Salt Lake City), freelance performing with Cie Willi Dorner (Vienna, Austria), Nicholas Leichter Dance (New York City), and Stephen Koester (Salt Lake City), teaching on faculty at Utah Valley University (Orem, UT) and the Open Look Festival (St. Petersburg, Russia), and creating and presenting four significant works of choreography over the past three years. One of them, You, is currently in development to be presented in Salt Lake City, UT in January 2015. Graham recently accepted a position as Assistant Professor in the Department of Dance at Brigham Young University in Provo, UT. He is sustained by his wife Lehua, and their four children: Isobella, Oliver, Elliette, and Ana. Lindsay Gilmour has had the pleasure of teaching at Ithaca College since Fall 2006. In 1998 she earned her BFA in performance and choreography from the University of Montana and in 2006 received her MA from Columbia University’s School of International Affairs with a focus in Tibetan Studies and Conflict Resolution. She has lived in Brooklyn, NY since 1999 where she continues to work as a professional dancer with PEARSONWIDRIG DANCETHEATER, Yin Mei Dance and Imp Improvisation Performance Collective. Her choreography has been presented in New York, Montana, at the Bumper Shoot Festival in Seattle and at the Kennedy Center in Washington D.C. She loves to share the joy of moving and has taught in the U.S., Thailand and India. Her Modern Dance technique classes are based in release techniques emphasizing breath, flow and how to move dynamically through space. Lindsay loves to travel – in the summers she will often be in India or Tibet leading educational programs. Bethany Disque received her Bachelor of Arts from the University of Maryland in Spring 2013. There, she was the president of the Student Dance Association and Director/choreographer of Phunktions Hip Hop Dance Company. Her own work, If only I knew, has been shown in the Maryland Dance Ensemble, the 31st Annual Choreographers’ Showcase, Dance Bethesda Dance Concert and The John F. Kennedy Center for the Performing Arts. She has been dancing with PWDT since 2013. Jonathan Hsu (apprentice) performs with Culture Shock DC, is an apprentice with PEARSONWIDRIG DANCETHEATER, and is a former member of VF Dance Theater. He has performed extensively with these groups at the Kennedy Center Terrace Theater and Millennium Stage, Give Kids the World, the PS21 Festival in Chatham, NY, the San Diego Civic Theater, and many other Washington, DC area venues. Jonathan is a student at the University of Maryland pursuing a dual degree in Dance and Kinesiology. He is the current Vice President of Delta Chi Xi Honorary Dance Fraternity Inc. Gamma Chapter and he teaches in studios located throughout the Maryland and Washington, DC area. Tzveta Kassabova is a Bulgarian born independent choreographer, costume designer and installation artist residing in the U.S. since 1999. Tzveta was selected by Dance Magazine as one of the 25 to Watch for 2012. At different times she has been a gymnast, physicist, and meteorologist. She holds three Masters degrees. As a dancer, Tzveta has been part of Ed Tyler, PEARSONWIDRIG DANCETHEATER and David Dorfman Dance, and has performed in works of many wonderful choreographers. Her work as a choreographer has been presented at CSPAC (MD), Dance Place (DC), Kennedy Center (DC), Test!0 (Croatia), NBU (Bulgaria), Judson Church (NYC), Dixon Place (NYC), Mulberry Street Theater (NYC), McGuire Pavilion (FL), and ACDA. She received five Metro DC Dance Awards (2008 and 2011), the Prince George’s Arts Council grant (2009 and 2012) and Maryland State Arts Council Award (2010 and 2011). Tzveta believes that dance is a visual art form. She has always been fascinated by the concept of space, and is constantly trying to address it, both in her choreography and design. Tzveta was on faculty at the University of Florida, Gainesville, from 2012-14, and will begin her new appointment at Middlebury College in Fall 2014. Raja Feather Kelly Is A Company Member Of David Dorfman Dance, Zoe | Juniper, Reggie Wilson/ Fist And Heel Performance Group, Racedance, Pearsonwidrig Dancetheater And Also Performs With Tzveta Kassabova And Paul Matteson. He Has Had The Pleasure Of Performing In The Work Of Christopher Williams, Colleen Thomas And Dancers, And Kyle Abraham/Abraham.In.Motion Through The Premiere Of The Radio Show, Which Received A New York Dance & Performance (Bessie) Award. Kelly Has Been A Guest Artist At New York University, The University Of Virginia, Memphis University, University Of Florida, Dance House In Melbourne, Au And Most Recently A Guest Lecturer At The University Of Maryland, College Park, And A Guest Choreographer At Princeton University. Kelly’s Work Has Been Shown At Dance New Amsterdam, Triskelion Arts, The Center For Performance Research, Velocity Dance Center And The Kennedy Center’s Millennium Stage . Kelly Was A Co-Producer Of The Summer Dance Series Rooftop Dance. He Is A Contributing Writer For The Dance Enthusiast. When Not Touring Or Performing, Kelly Manages Race Dance And Reggie Wilson/ Fist And Heel Performance Group. Kelly Holds A Ba With Honors In Dance And English From Connecticut College. Stephanie Miracle is an independent choreographer, performer and teaching artist. As a performer she has had the privilege of dancing for Deganit Shemy, Elizabeth Dishman, Avodah Dance Ensemble, Shannon Gillen & Guests, Laura Peterson Choreography, alexan/the median movement, David Dorfman Dance, Joseph Poulson, Susan Marshall and Company, Dance Exchange, Graham Brown, PEARSONWIDRIG DANCETHEATER, and Deborah Hay. Her work has been presented at Dance Place (DC), Clarice Smith Performing Arts Center, 100 Grand (NYC). ROVE (NYC), Lincoln Center Dance for Camera (NYC), Supernova (VA), Performatica (Mexico) and Open Look (Russia).In 2012 she was selected as one of nine dance international artists for the OMI Dance Residency.She is currently working on a new commission entitled, "GROOVE" for the Clarice Smith Performing Arts Center 2014 NextNOW festival. Stephanie holds a MFA in Dance from the University of Maryland and is completing her teachers certification in Klein Technique. She is a 2014/2015 Fulbright Fellow studying choreography and performance at the Folkwang University in Essen, Germany. As a dance maker she has created works for bus stops, woman’s prisons, hallways, staircases, outdoor spaces and traditional theaters. Her dance film, “chloes”, created in collaboration with Lea Fulton and videographer Greg King, was selected as part of the 2009 Dance on Camera Festival at Lincoln Center. In 2011, she choreographed an inter-generational work called “Recollecting Disappearing”, with a commission of the MetLife Healthy Living Initiative at Dance Exchange. Recently Stephanie was awarded a Smith Scholarship Grant with which enabled her to spend two weeks at the ImPulsTanz Festival in Vienna. She was also selected at one of nine dance artists from around the world to attend OMI International Artists Residency 2012. This fall her project received the $1000 DC Kitchen of Innovation grant. Betty Skeen was born and raised in South Carolina. After finishing her BA in dance and creative writing at Sweet Briar College, she earned her MFA in choreography at the University of Maryland in 2010 and then began creating and performing with PEARSONWIDRIG DANCETHEATER. She was the artist-in-residence at Sweet Briar College for the Spring 2014 semester and was the guest artist for the Spring Undergraduate Concert at University of Maryland's School of Theatre, Dance, and Performance Studies, where she choreographed a work for eight students. Candace Scarborough was born and raised in the Baltimore area and received a B.A. from the University of Maryland, College Park in 2012. She is currently a member of Helen Simoneau Danse and has also performed with Nathan Andary, Graham Brown and Denise Leitner. Connor Voss is a performer, dancer, student, teacher, and artist. His works include Powerbaby, Corroded, Alloy, Kings, the construction (with robin brown), minimal song, and Of or or. He presented his first evening-length show, Endangered Anatomies, as part of Maryland Day at the Clarice Smith Center. He is currently working on a new piece about love in residence at Chez Bushwick. Connor has performed with PEARSONWIDRIG DANCETHEATER, thefeath3rtheory (Raja Kelly), Gallim Dance, Anna Azrieli, Miguel Gutierrez & the Powerful People, and Neil Greenberg. He designed caped costumes for Anna Azrieli's show, Third skirt scrum, and arranged flowers for PWDT’s A Curious Invasion/Governors Island. Connor studied at the University of Maryland and the San Francisco Conservatory. He is working on a certification in the Feldenkrais Method.